Kernel Vulnerability in Ubuntu 7.10, 7.04 and 6.06 LTS. Upgrade Now! Don't forget to reboot your computer after this upgrade! ATTENTION: Due to an unavoidable ABI change, the kernel packages have a new version number, which will force you to reinstall or recompile all third-party kernel modules you might have installed. For example, after the upgrade to the above version of your kernel package, a software such as VirtualBox will NOT work anymore, therefore you must recompile its kernel module by issuing a specific command in the terminal. Moreover, if you use the Linux-restricted-modules package, you have to update it as well to get modules which work with the new Linux kernel version. Ubuntu (an African word meaning 'Humanity to others') is the ultimate operating system developed by an entire open source community. Ubuntu is perfect for laptops, desktops and servers. It includes all the software you will need, from web browser, e-mail client and word processing, to games, programming tools and web server software. 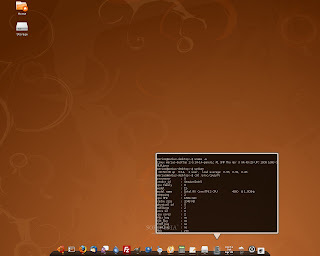 Ubuntu OS can be used at home, in a business environment, in public schools, hospitals, etc. The best part of all this is that Ubuntu is and will always be free of charge. Get the latest version of Ubuntu right now from Softpedia. Don't forget to share it with your friends and family.